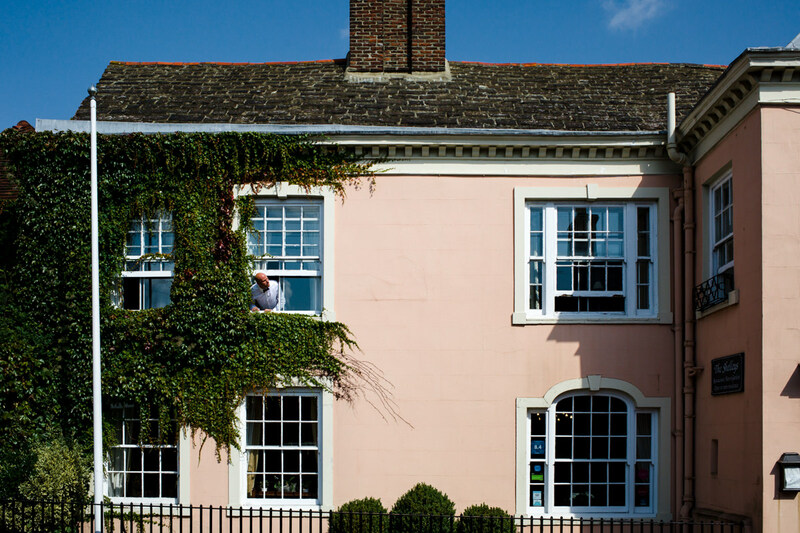 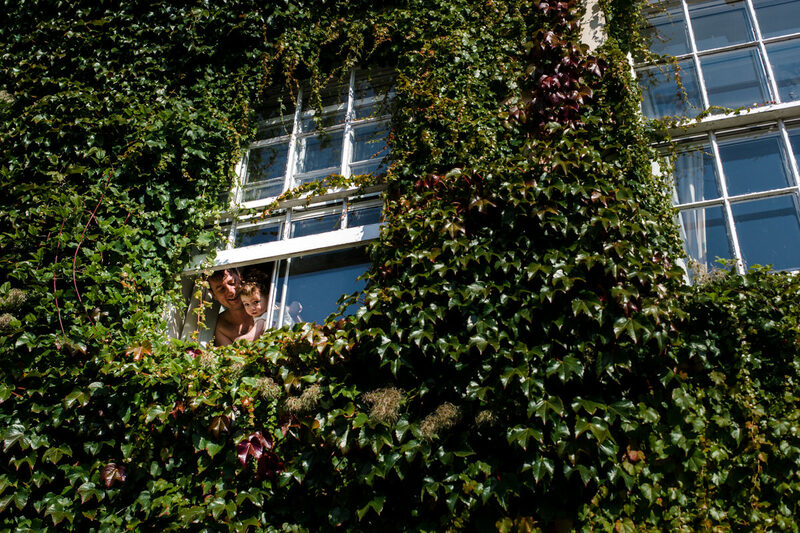 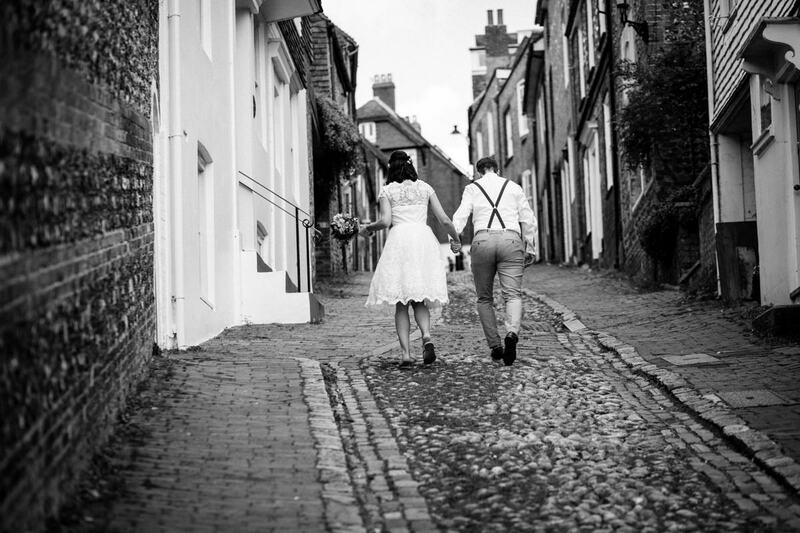 Lewes has to be one of the prettiest towns in England to get married – or to do anything, for that matter. 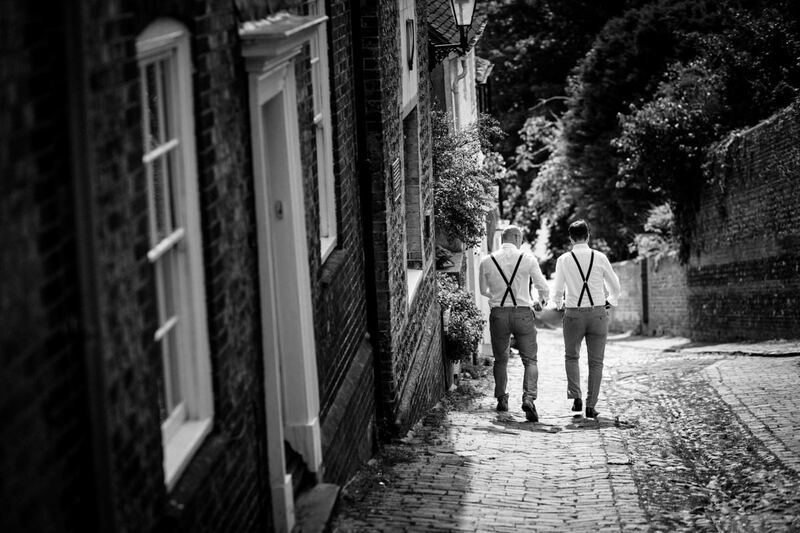 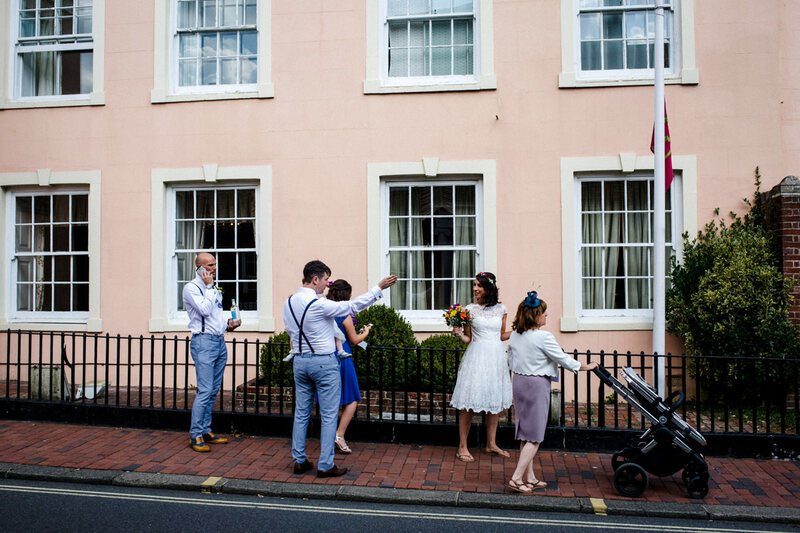 I must have photographed at least a dozen weddings in Lewes and the surrounding villages, so I had to smile when Aïcha and Dan said they were planning to walk from The Shelleys Hotel, where they were getting ready, down the steep cobbled streets to their Southover Grange wedding ceremony. 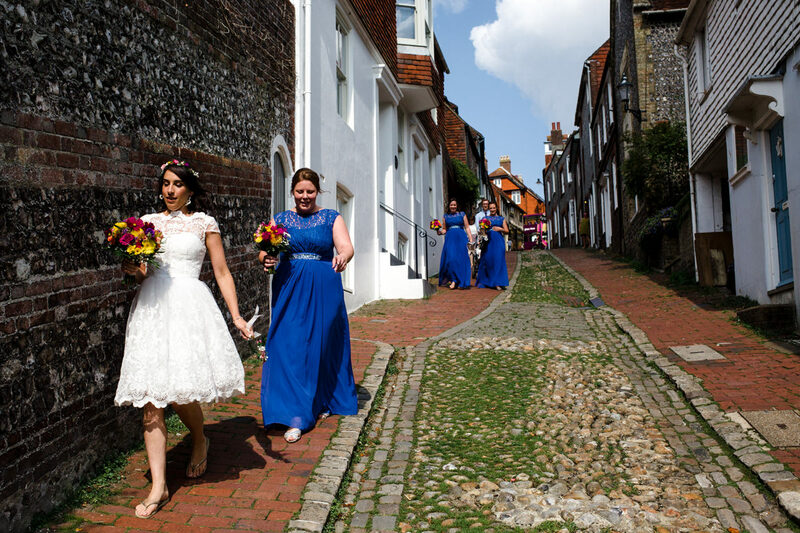 There’s something indescribably wonderful about a wedding party snaking its way through ancient streets on a summer’s morning. 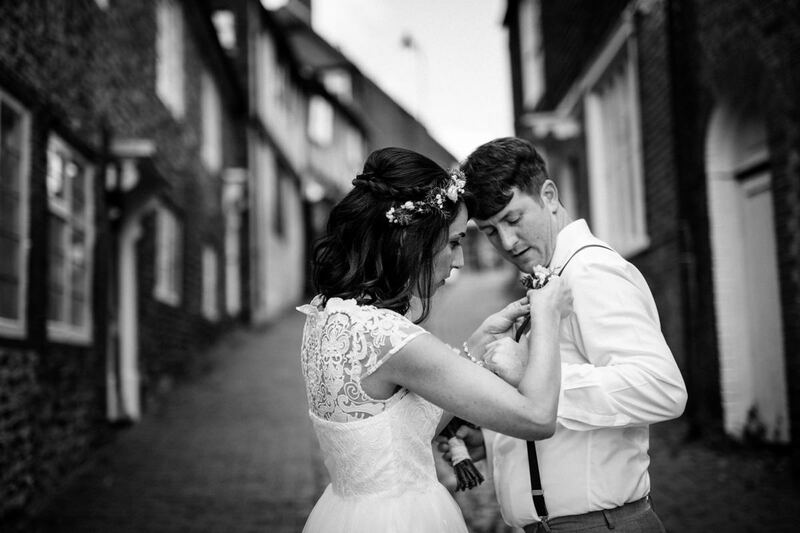 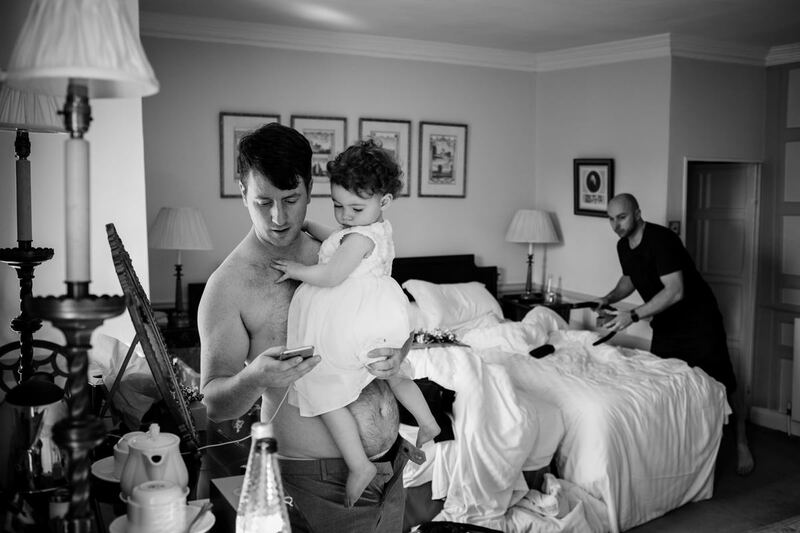 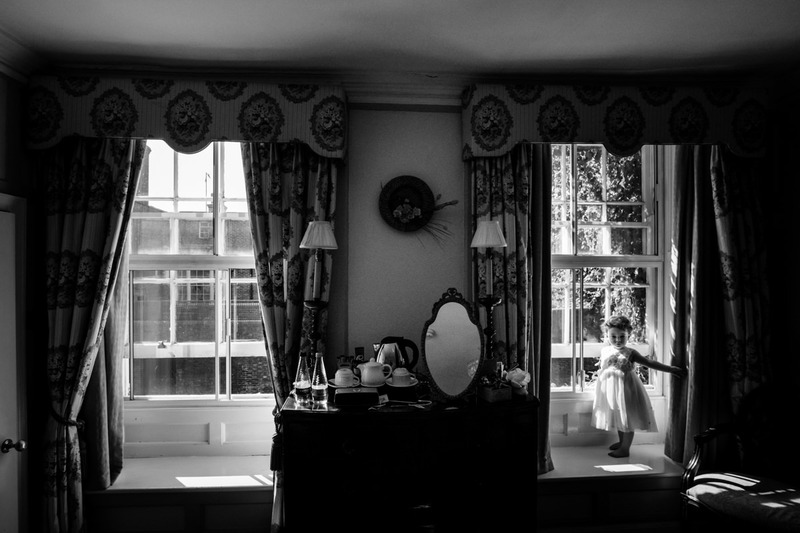 For a documentary wedding photographer like me, it was pure joy to go from the Georgian charm of The Shelleys Hotel, where Dan was getting ready with his daughter and best man, down to the grandeur of Southover Grange and its beautiful walled flower garden. 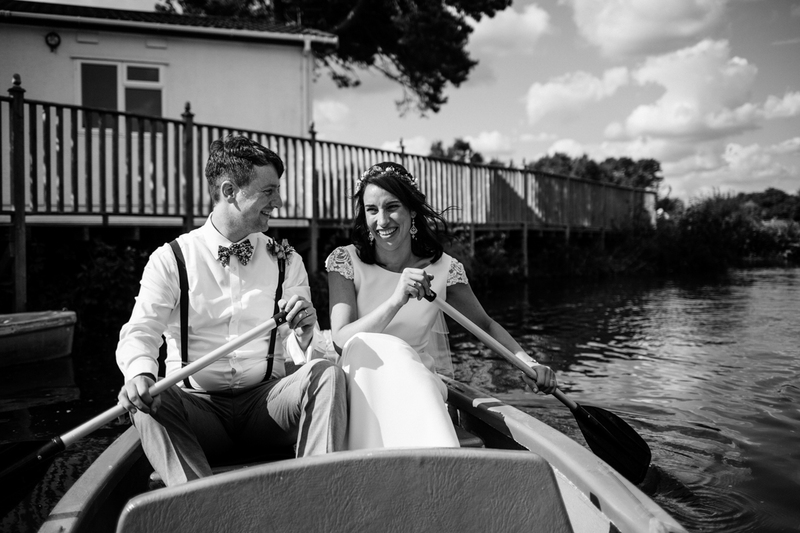 Oh, and it helped a lot that Aïcha and Dan were one of the most relaxed and fun couples I’ve ever photographed. 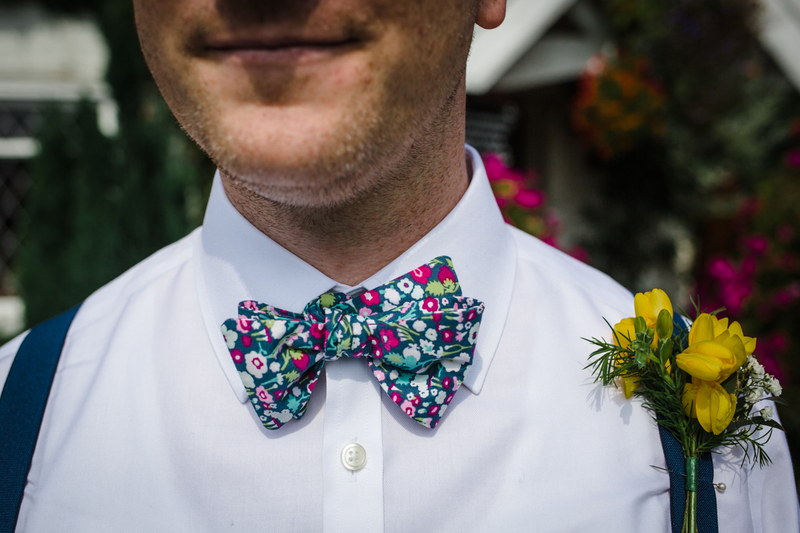 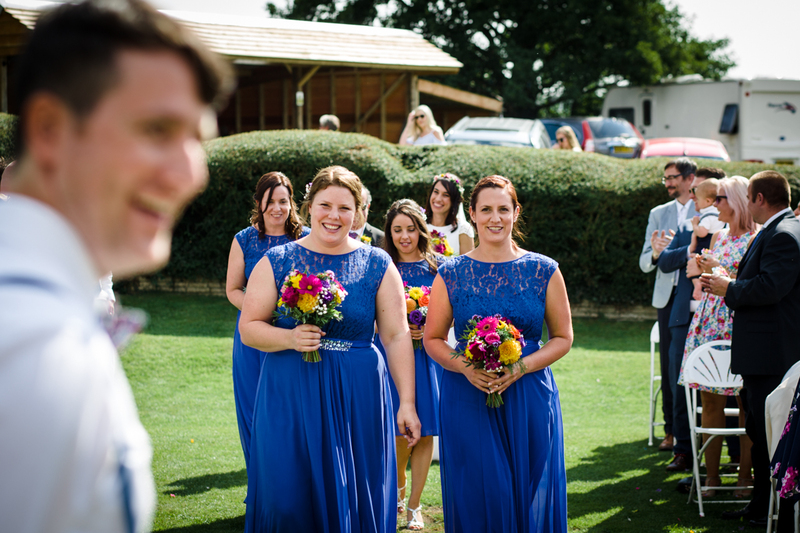 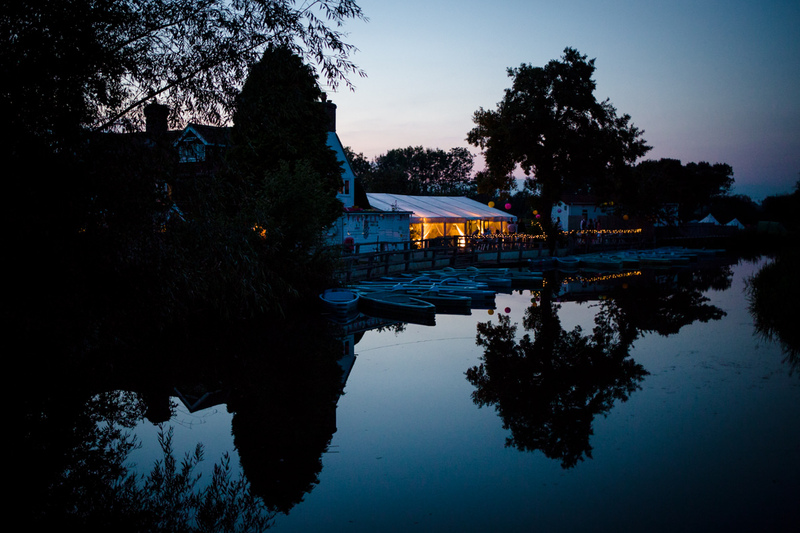 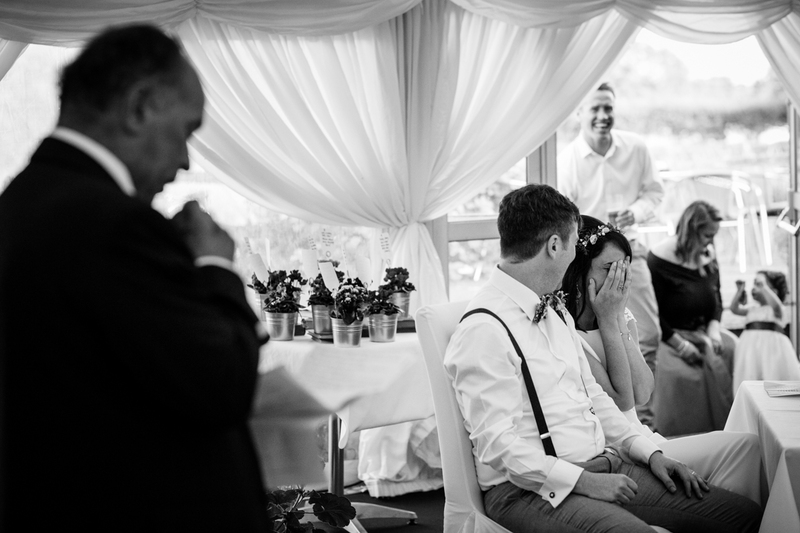 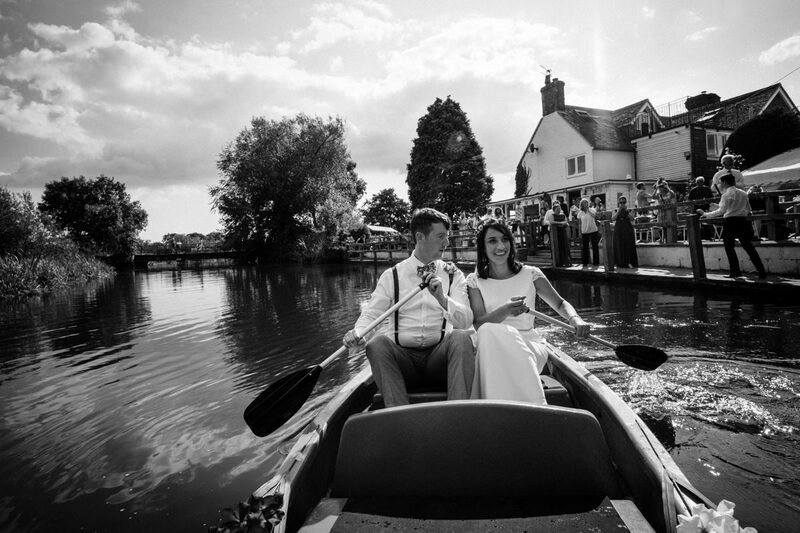 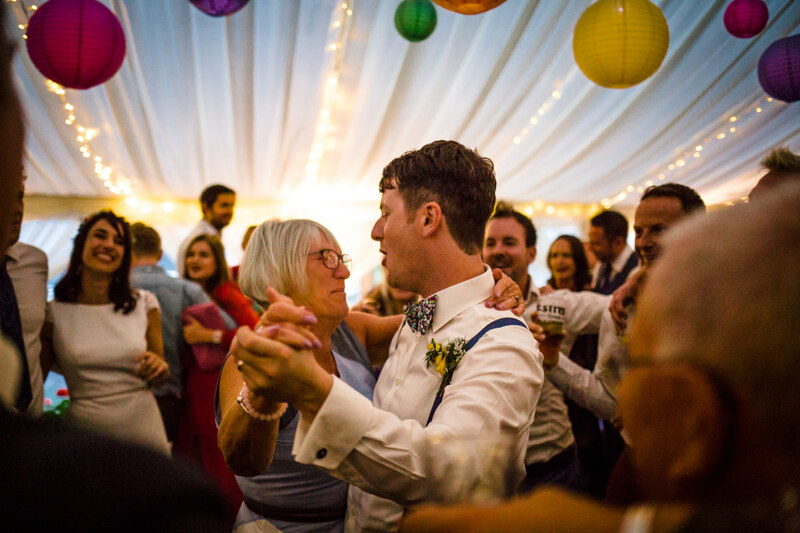 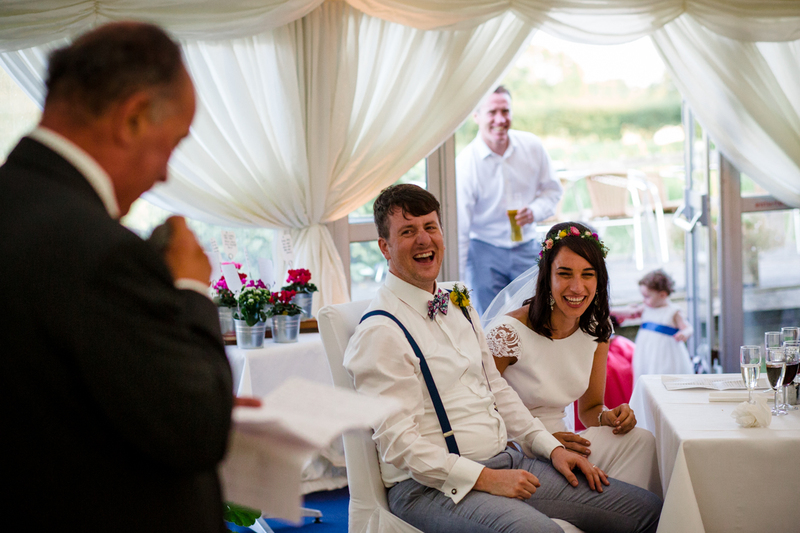 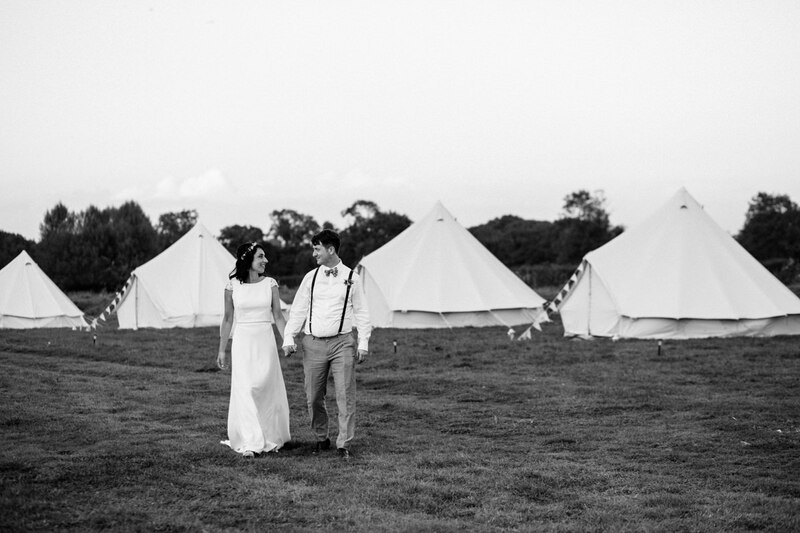 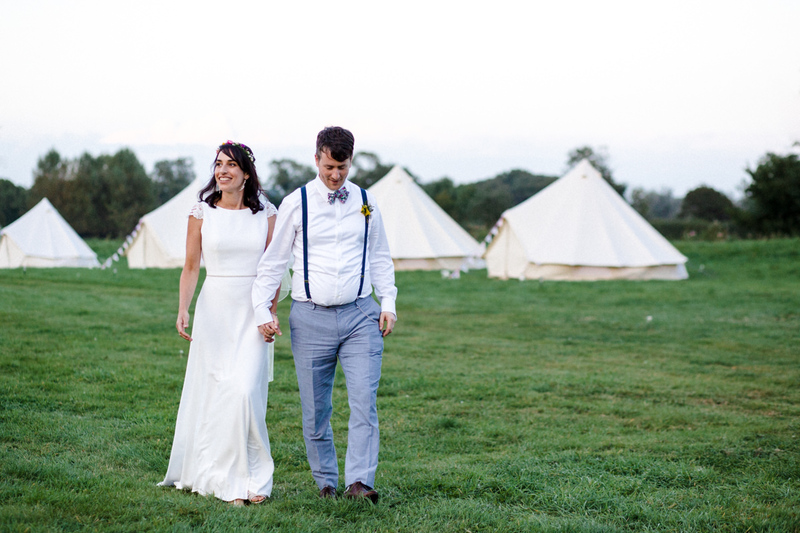 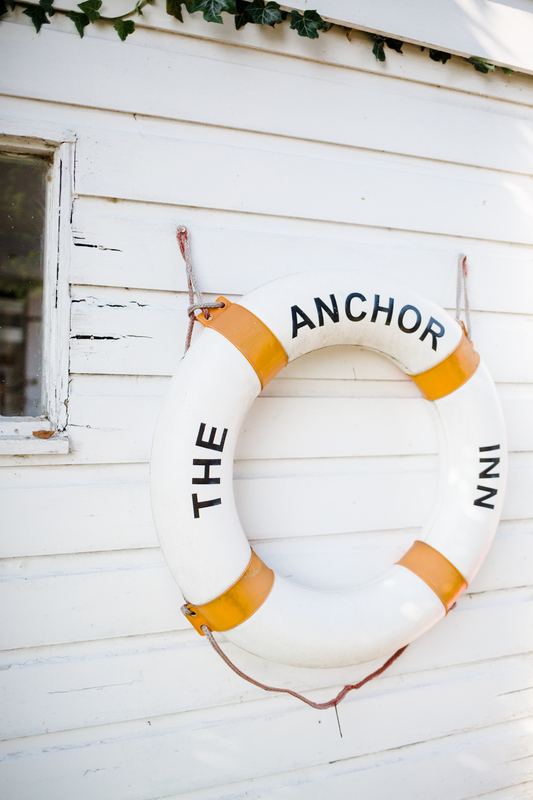 But, actually, the main venue for the wedding day was the Anchor Inn & Boating on the River Ouse, a few miles upstream from Lewes, near the village of Barcombe. 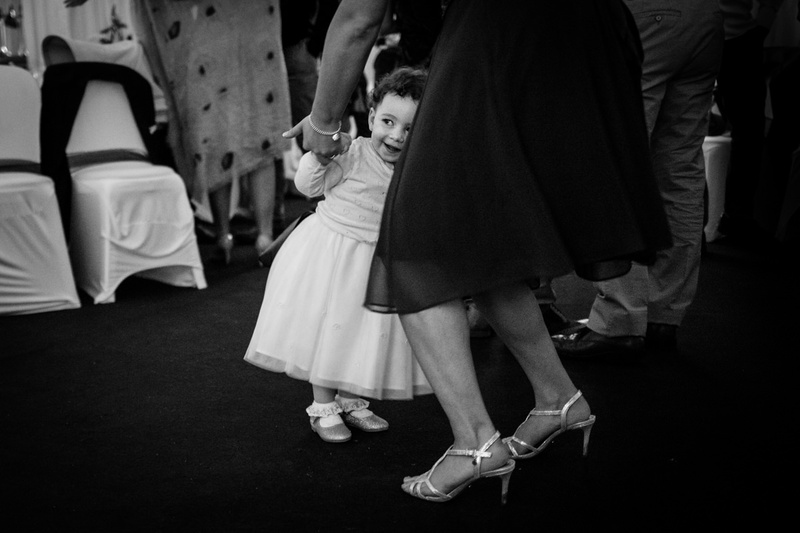 Now here’s where the fun really started. 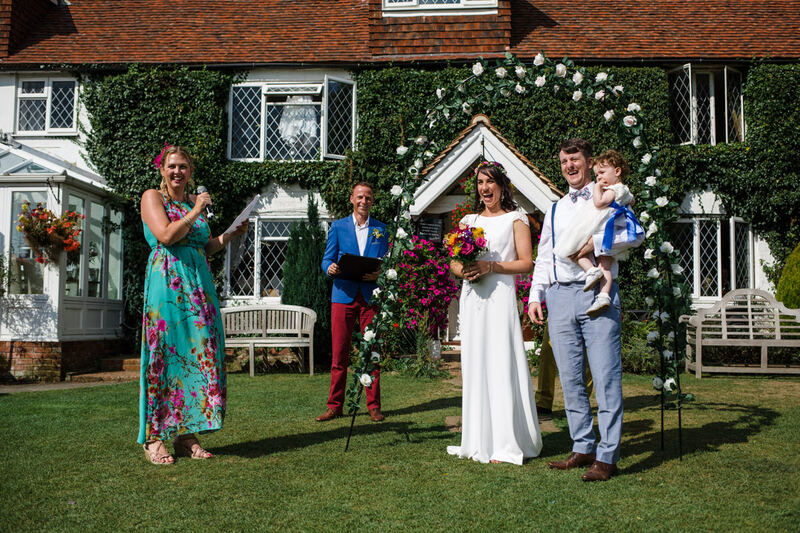 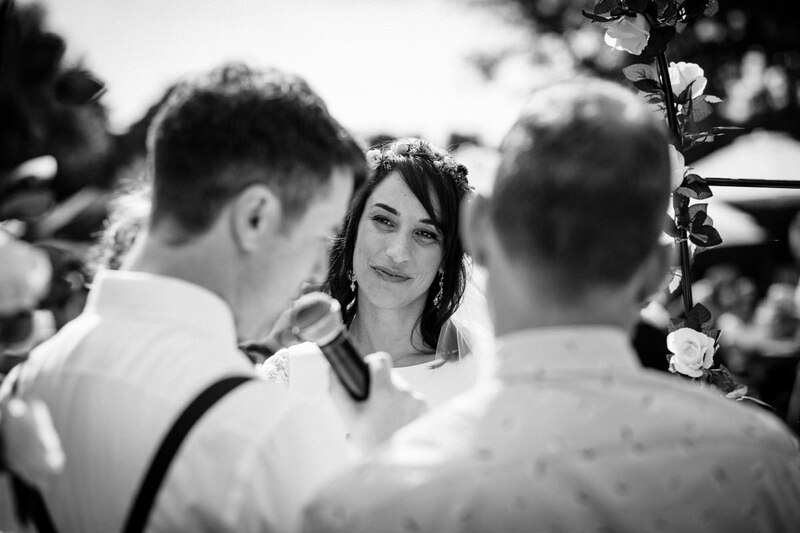 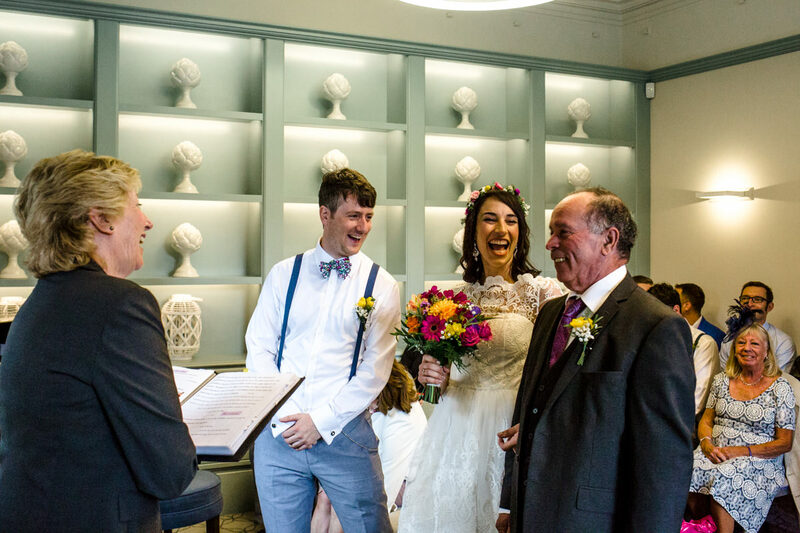 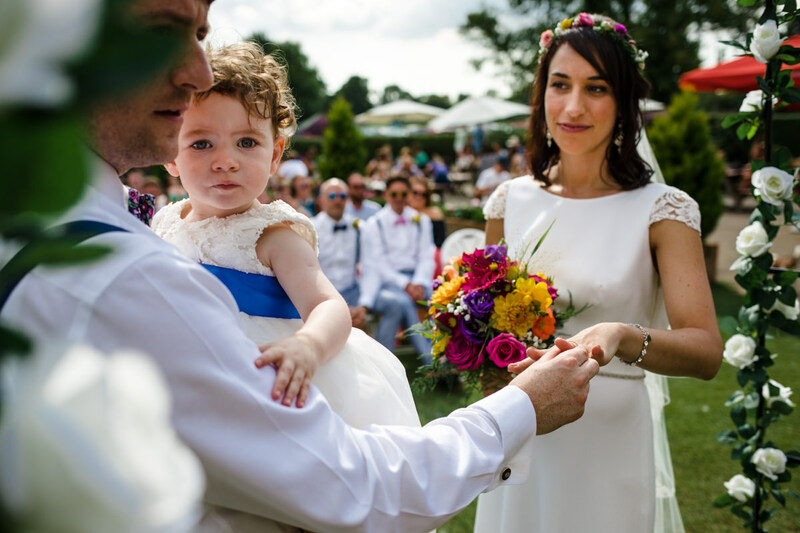 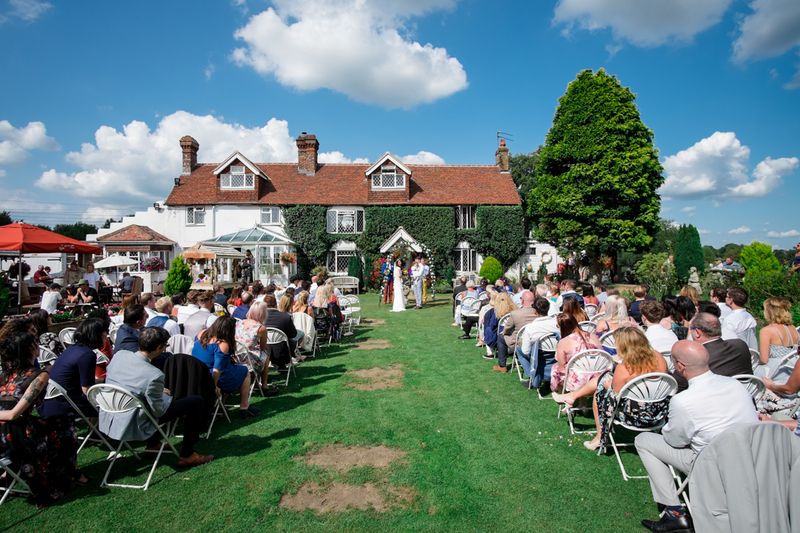 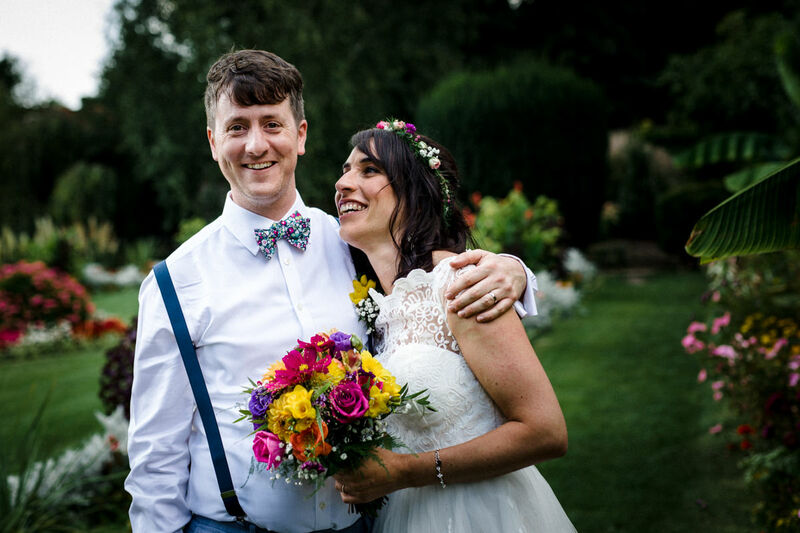 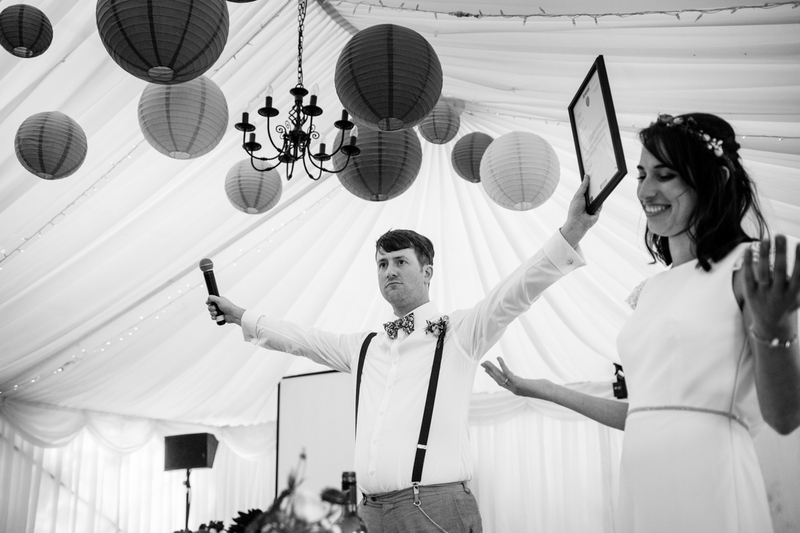 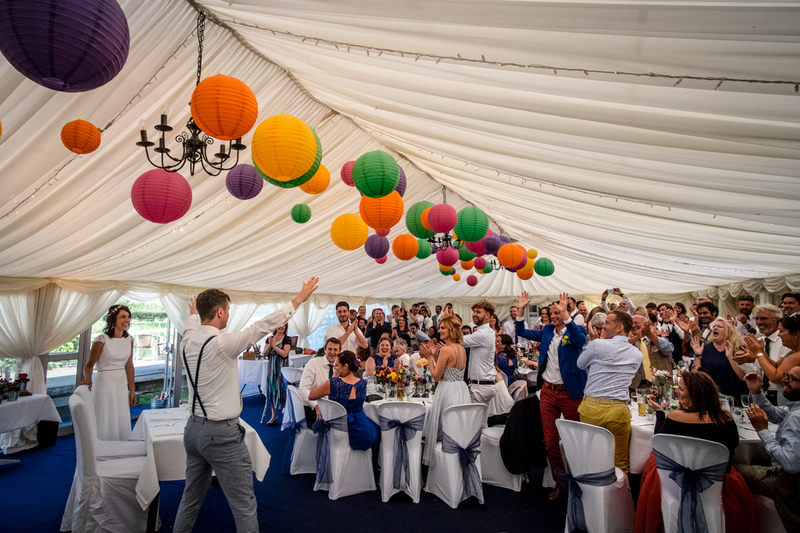 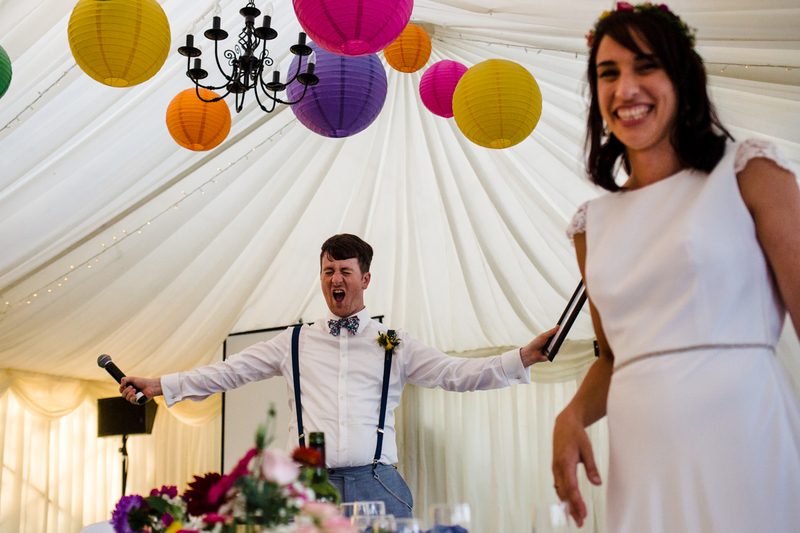 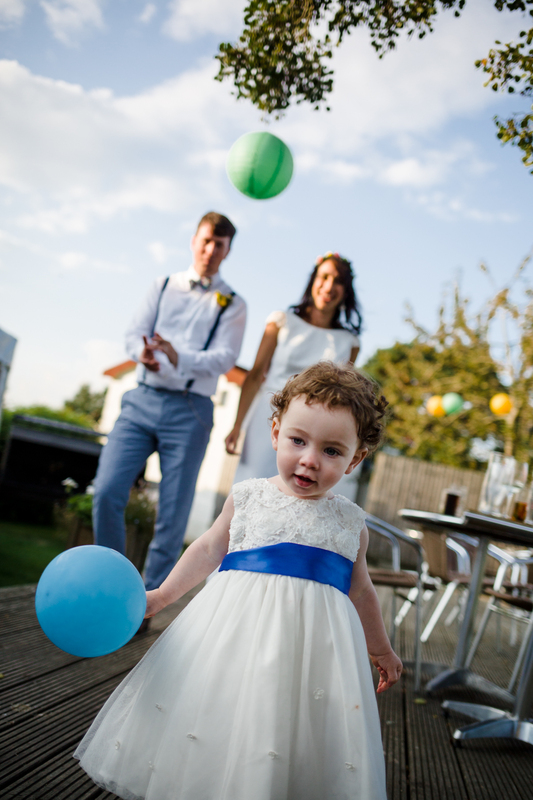 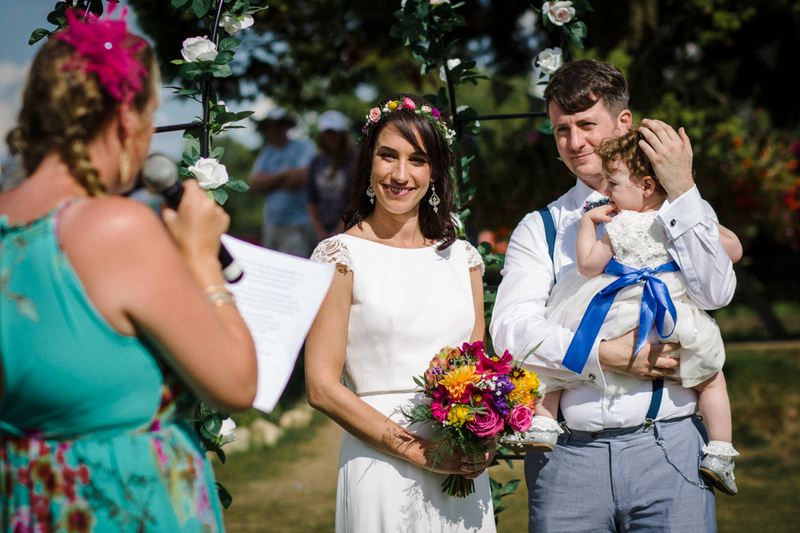 After the small ceremony at Southover Grange in Lewes, Aïcha and Dan wanted to have a blessing in front of around 80 guests on the Inn’s colourful front lawn. 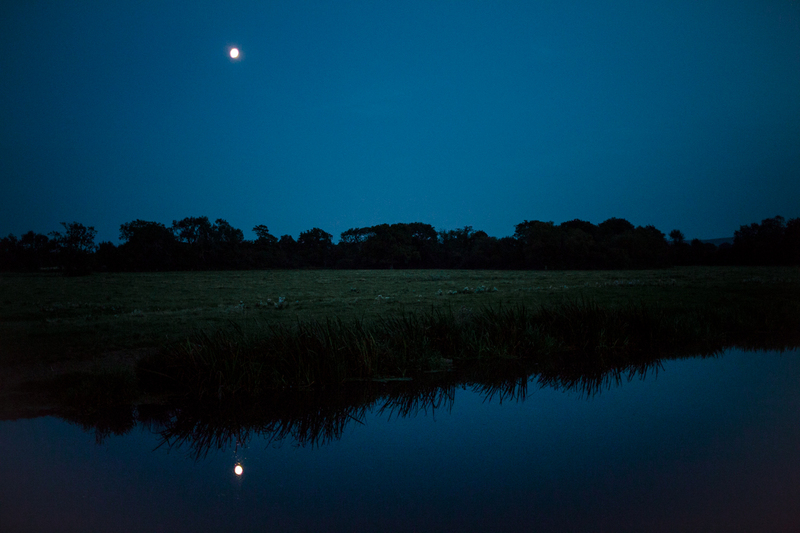 And it was followed by an hour of boating on the river. 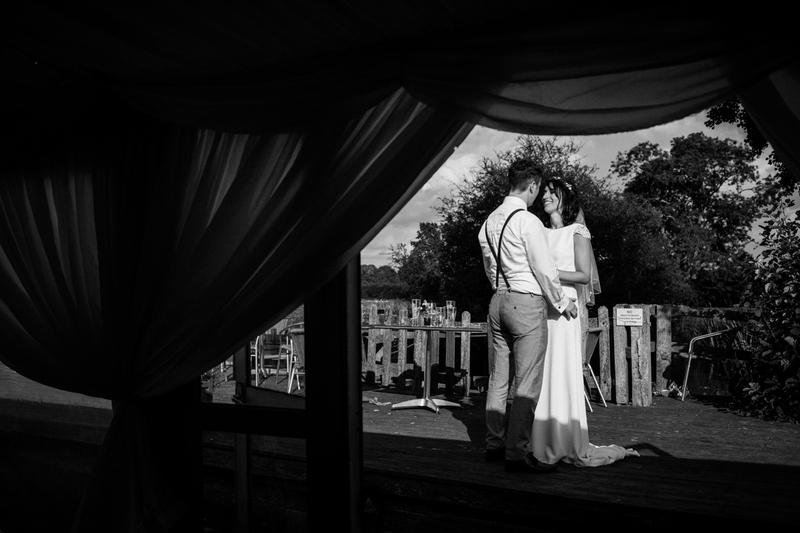 I even got to do some myself and take a few of my favourite pictures from the day. 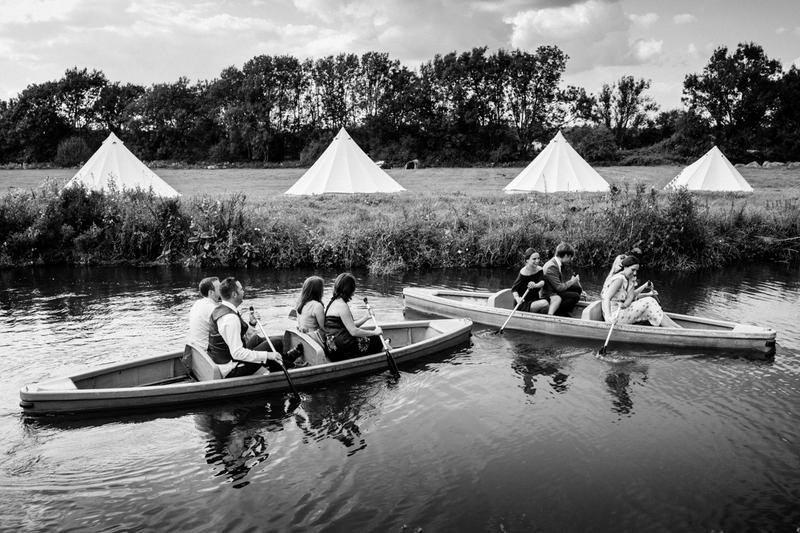 And almost nobody fell in! 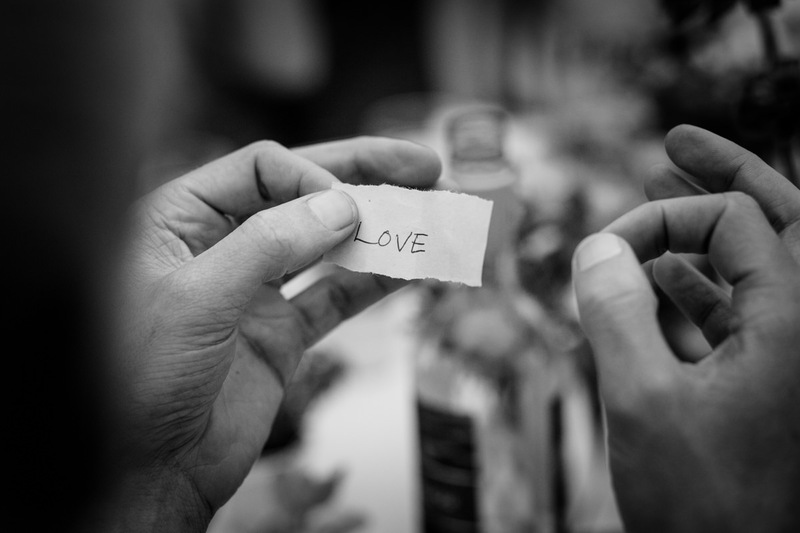 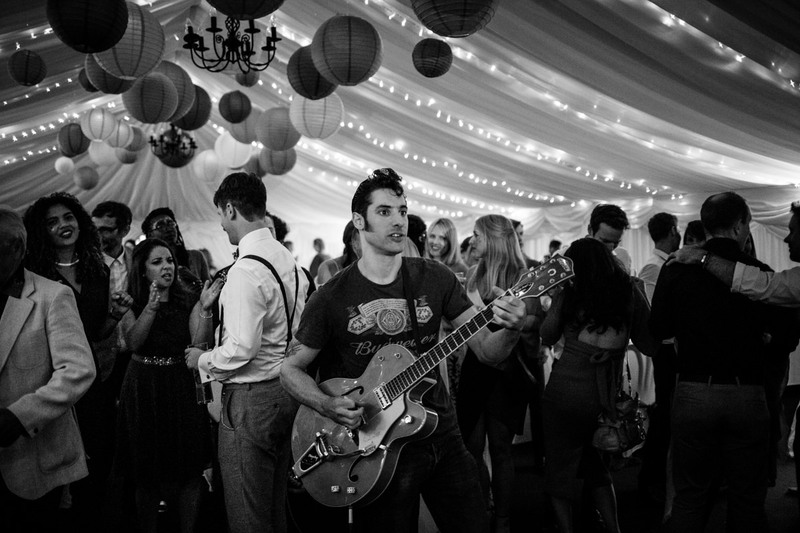 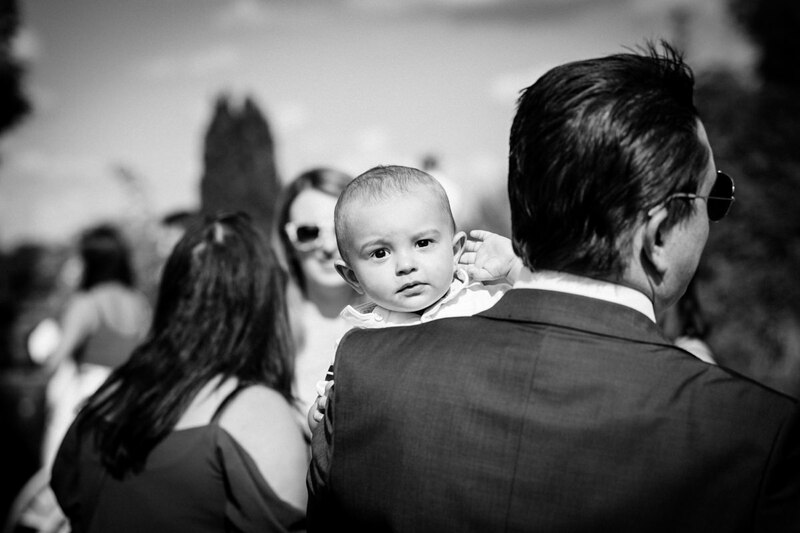 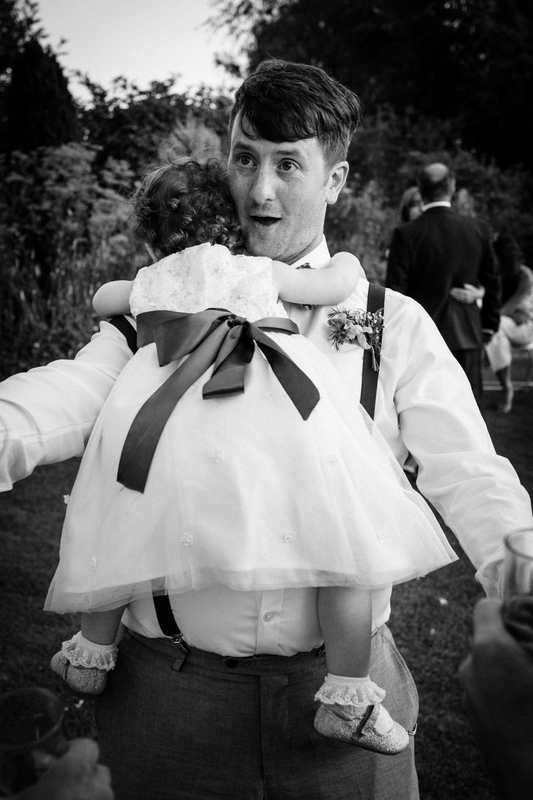 I love candid wedding photography. 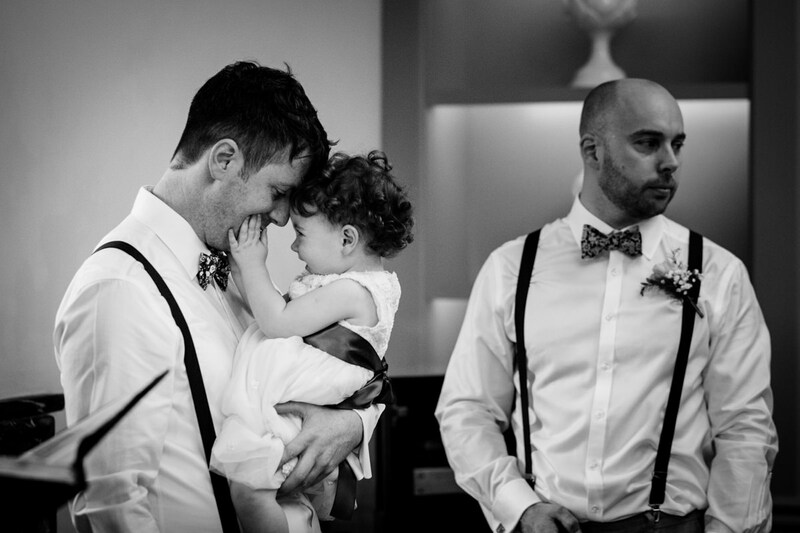 These are the pictures that couples will most enjoy looking at in the decades to come. 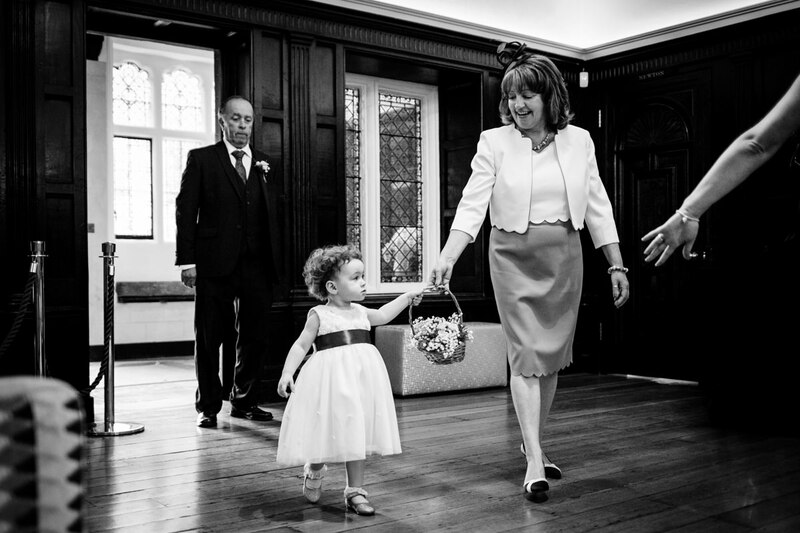 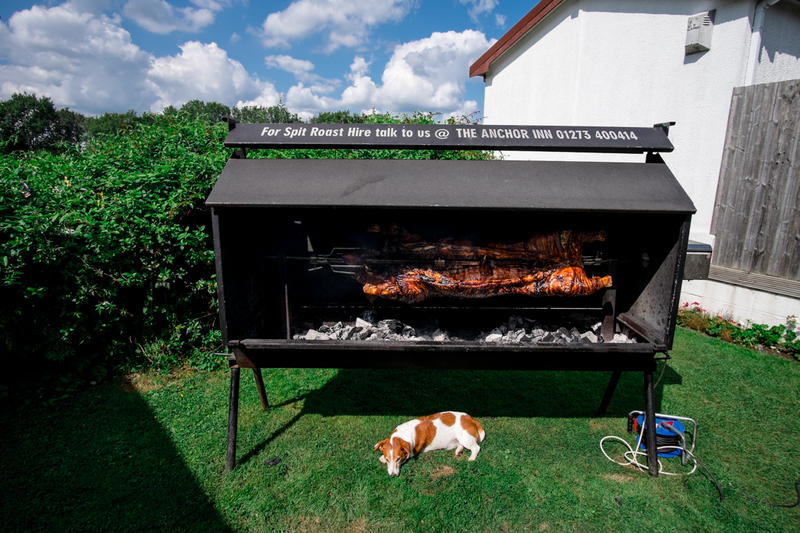 But that doesn’t mean posed images need to be stiff and boring. 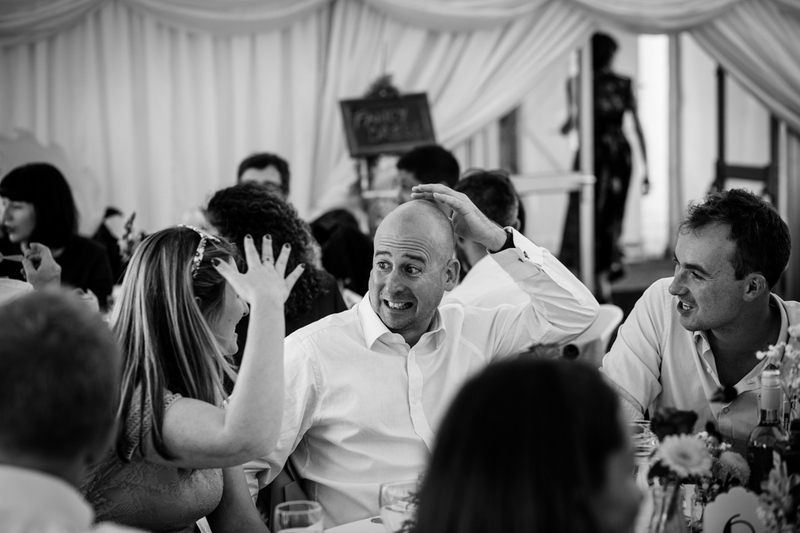 In fact, I like the posed pictures I take to be ‘unposed’ and feel natural. 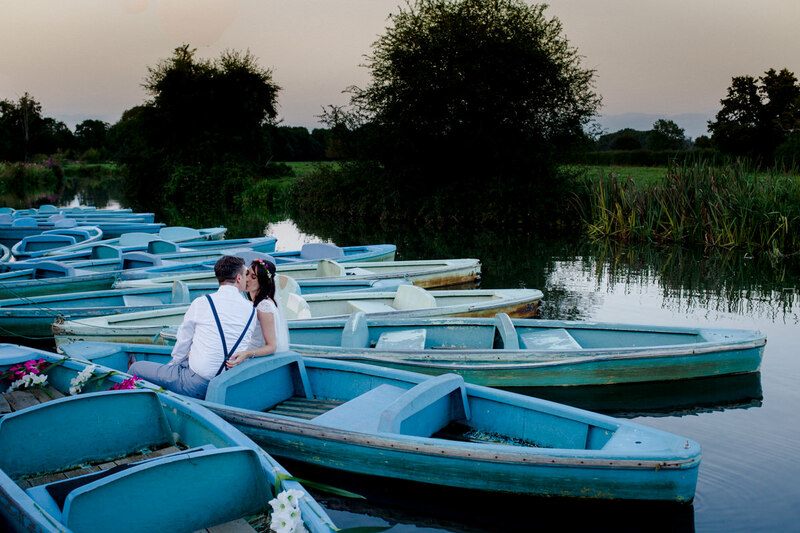 So once we’d got a few group photos done, I took a short walk with the happy couple along the river in the setting sun.  I hope you like the results. 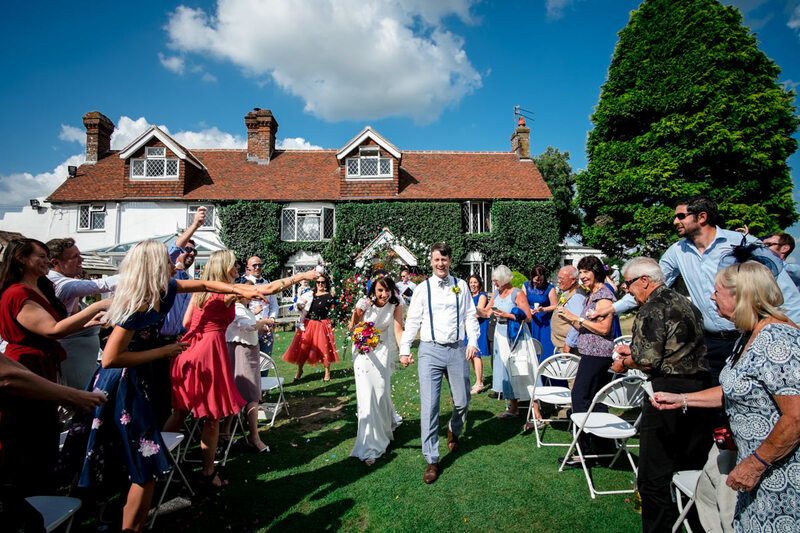 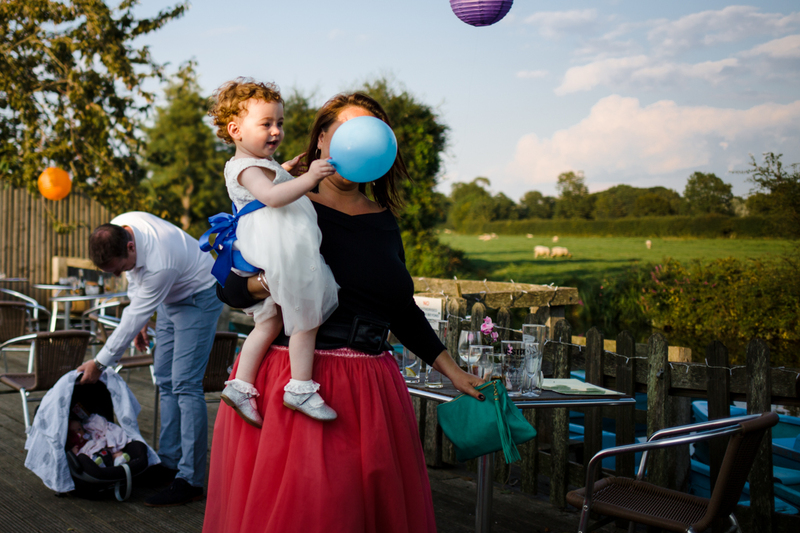 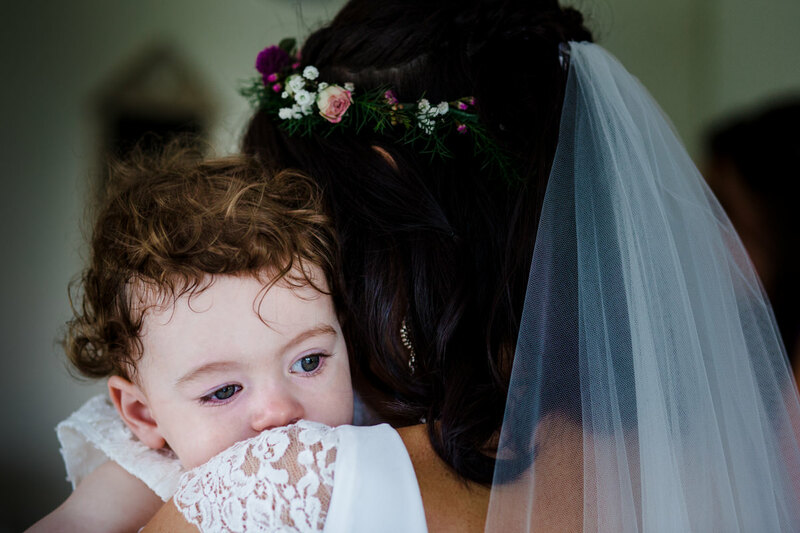 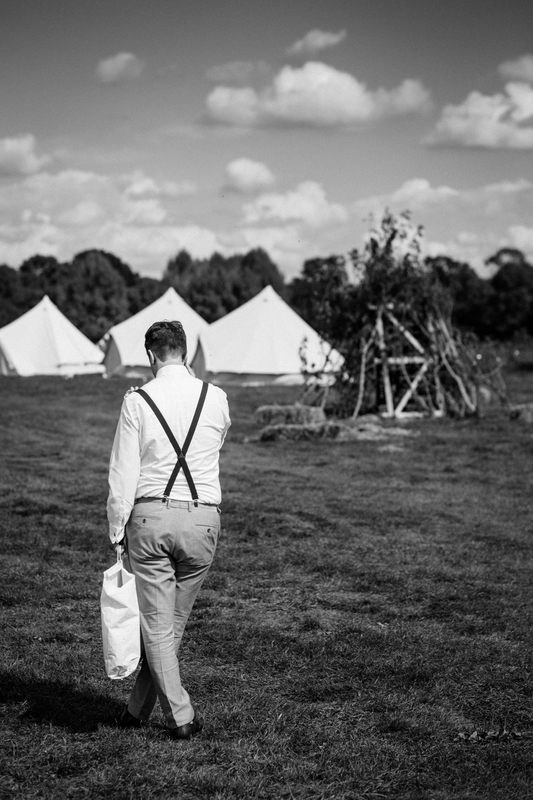 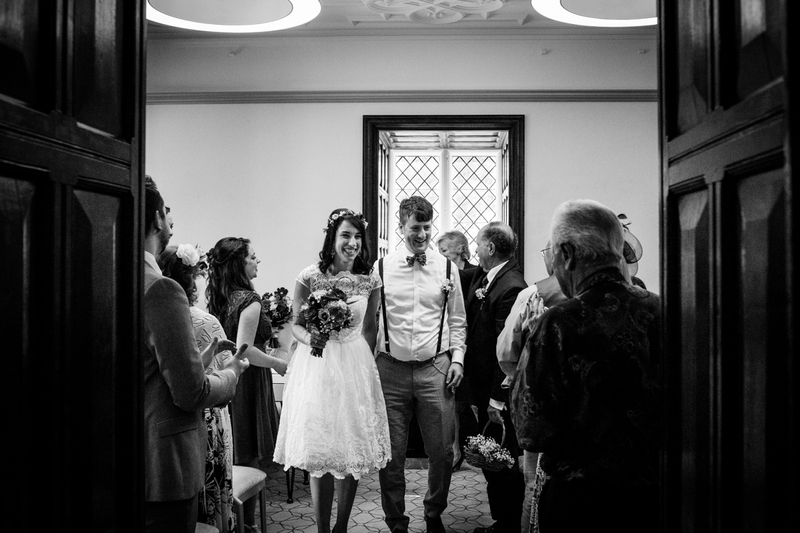 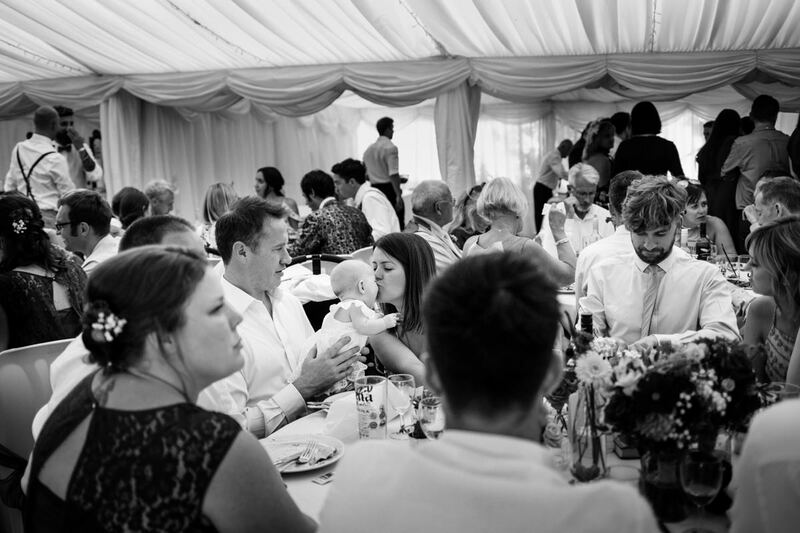 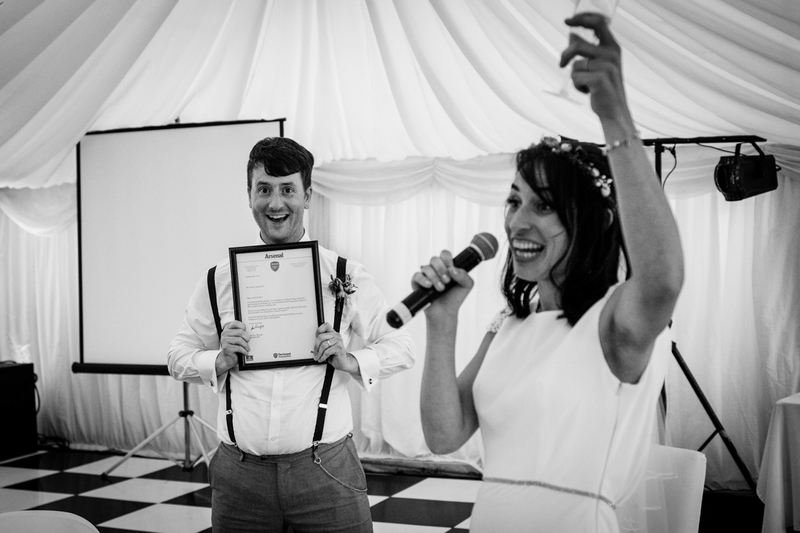 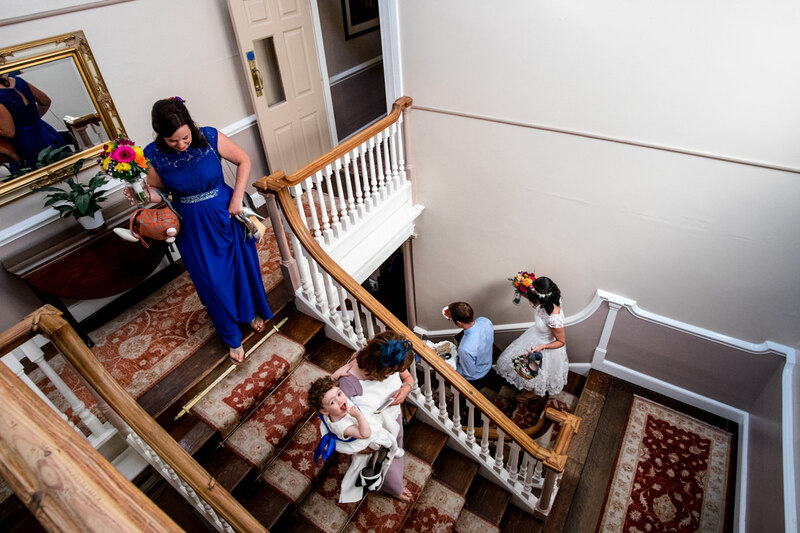 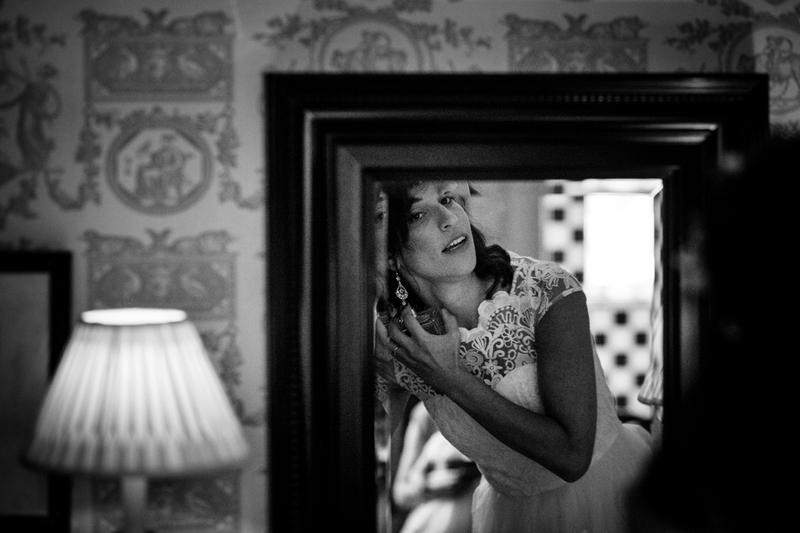 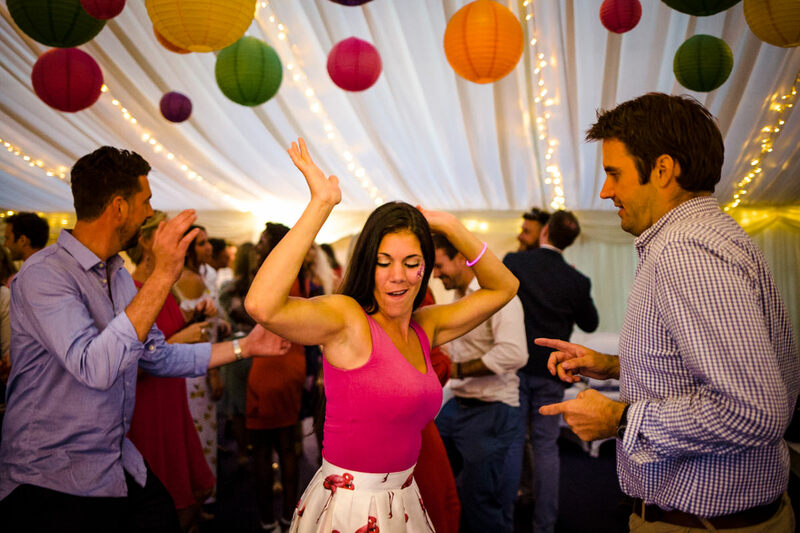 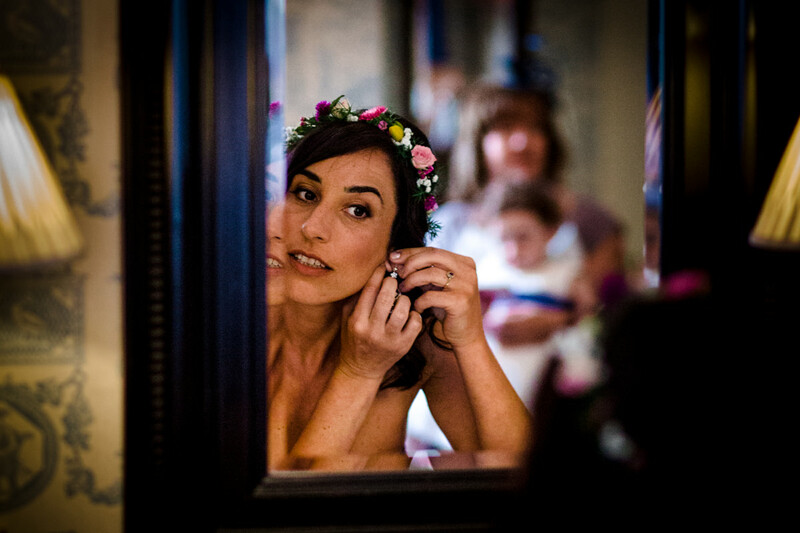 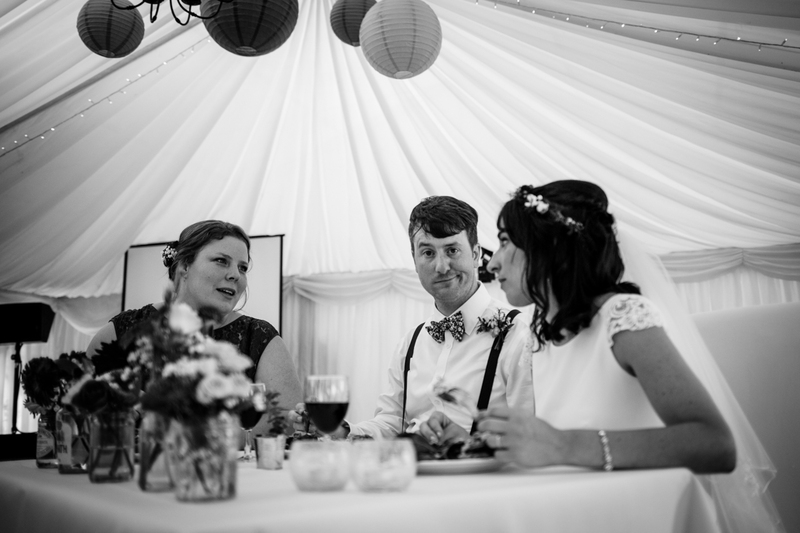 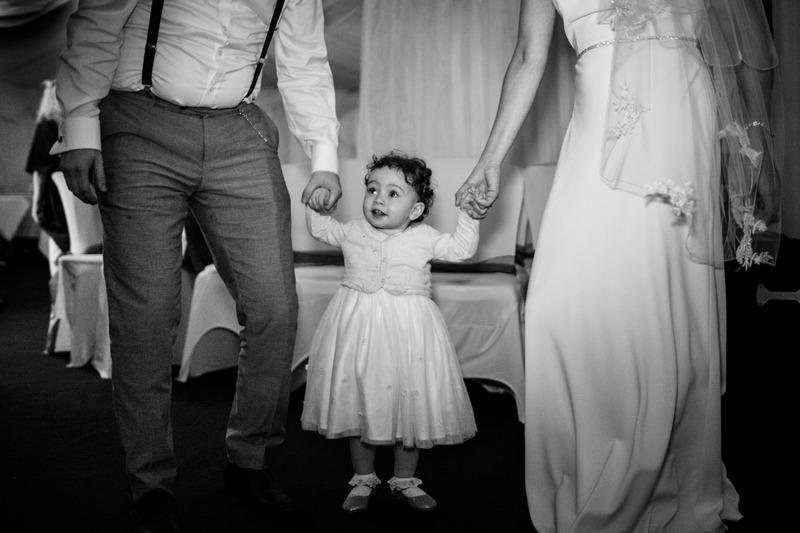 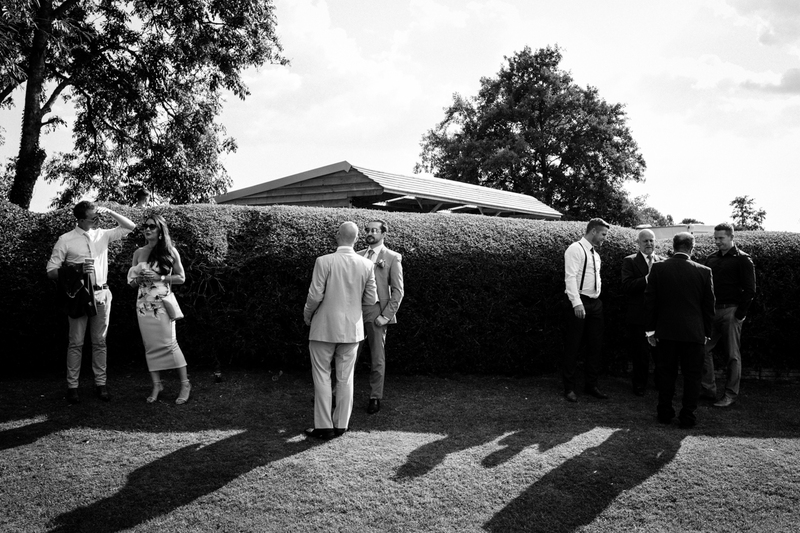 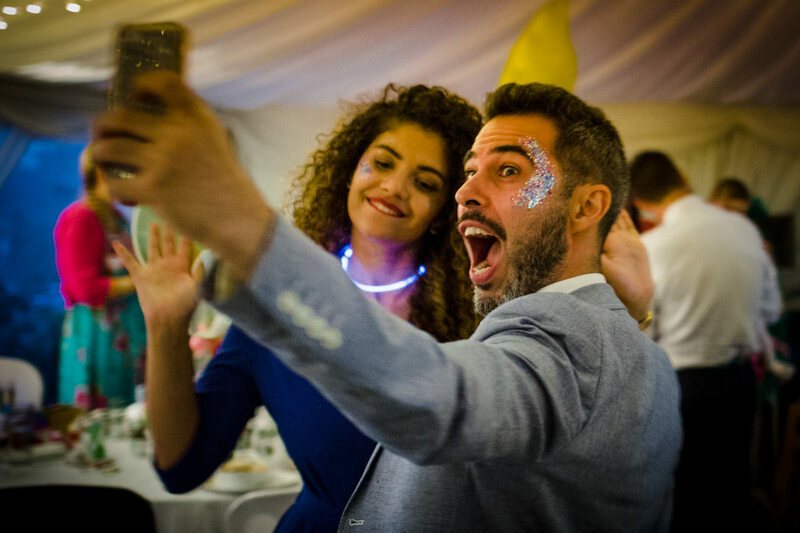 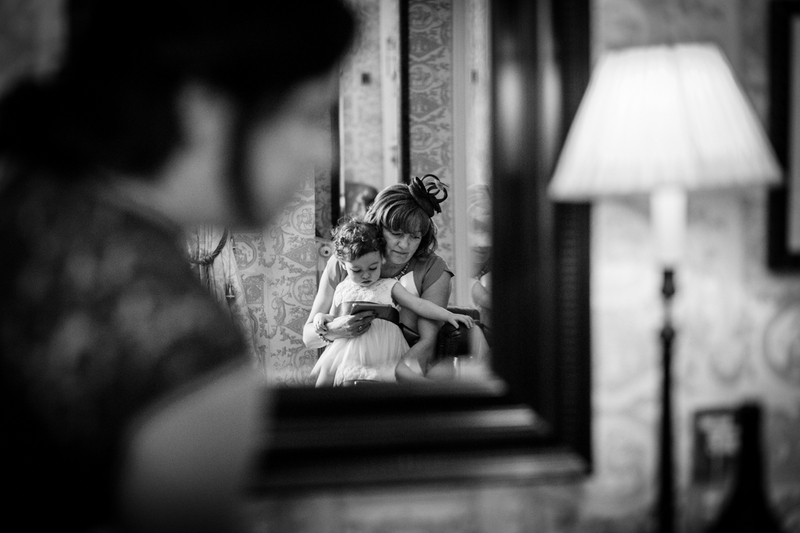 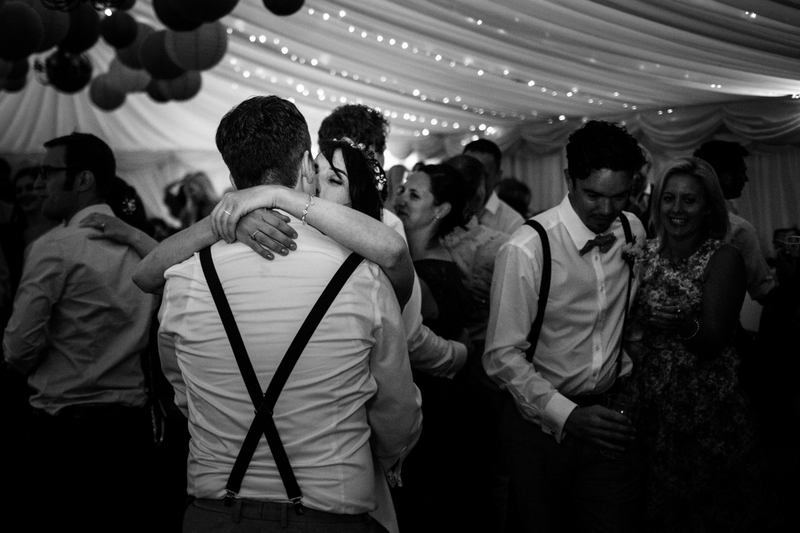 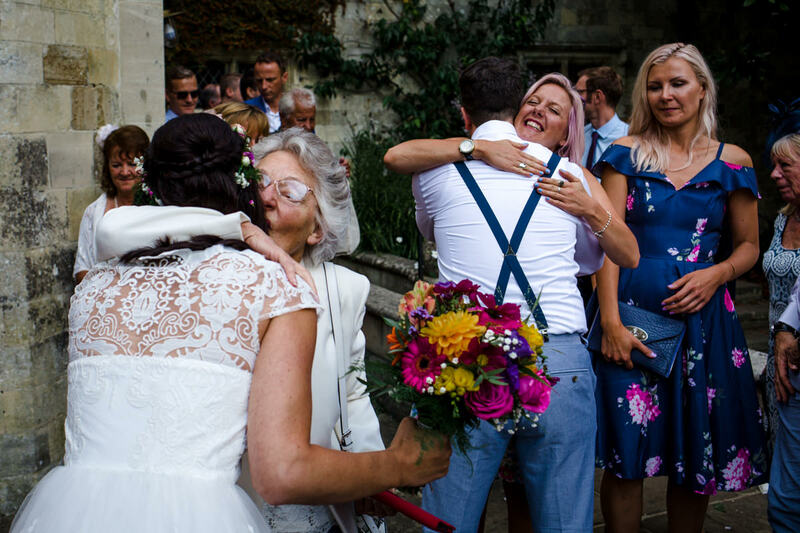 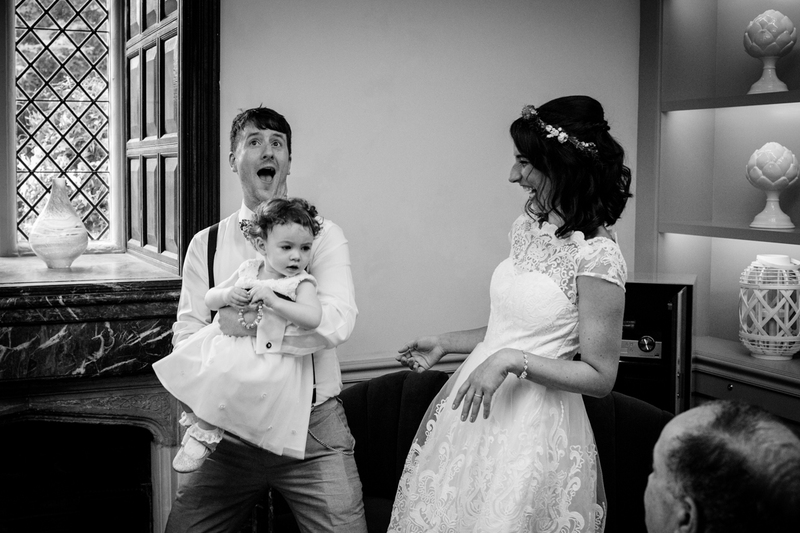 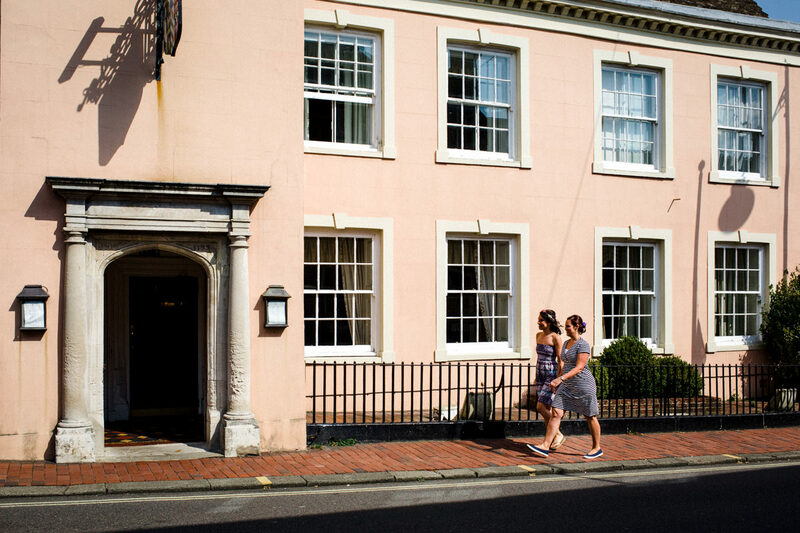 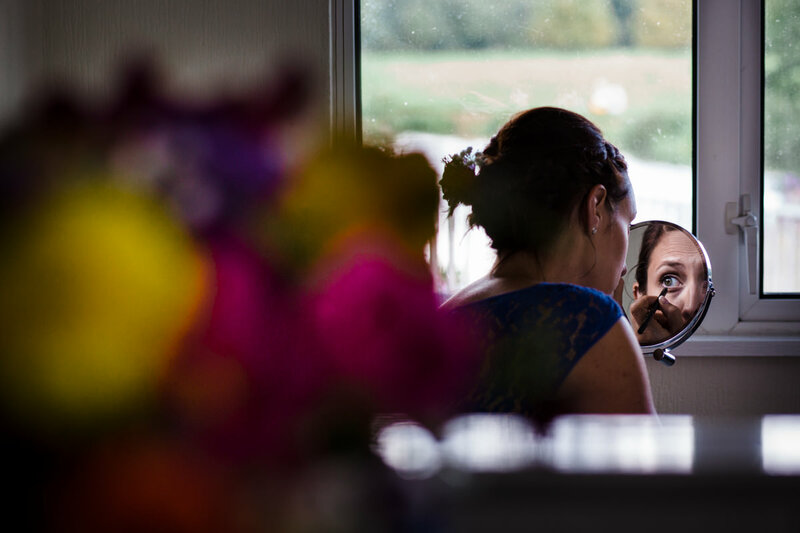 If you’re looking for a documentary wedding photographer to tell the story of your wedding in Lewes, Barcombe, or any other location, I’d love you to get in touch.